Details: Spire cross, finials above piers in steeple tower. 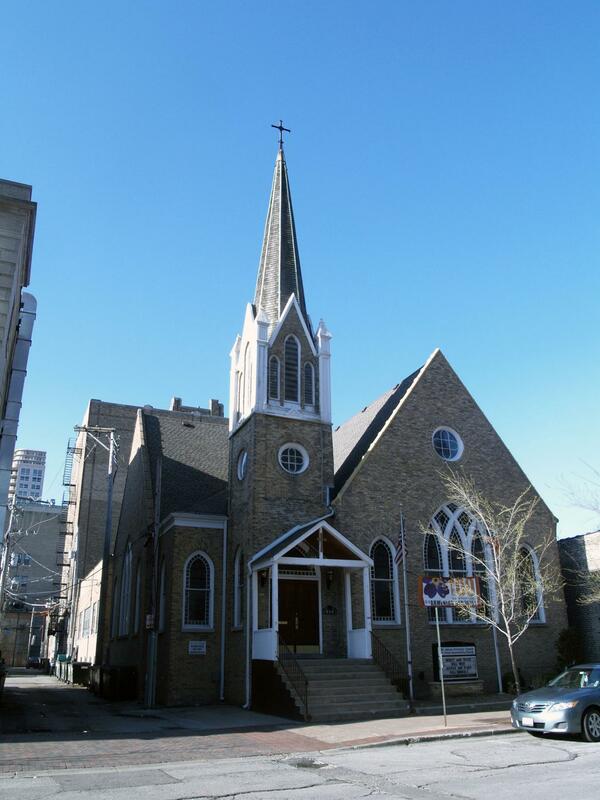 Historic Features: Cross-gabled plan with steeple tower in center, north elevation; stained glass window with tracery. Alterations: Entry porch may be a later addition/alteration. Exterior Alteration Permits: 12MRPR-0007: tuckpoint, remove and repair veneer brick on front of structure; 09rOOF-0044: roofing. COA Info: 09PRES-0028: Tear off existing asphalt shingle rf on main church and replace with architectural asph shingles in kind.